Leading on from last month’s Zero Waste Week, we’ve got 10 tips on going zero waste for beginners. 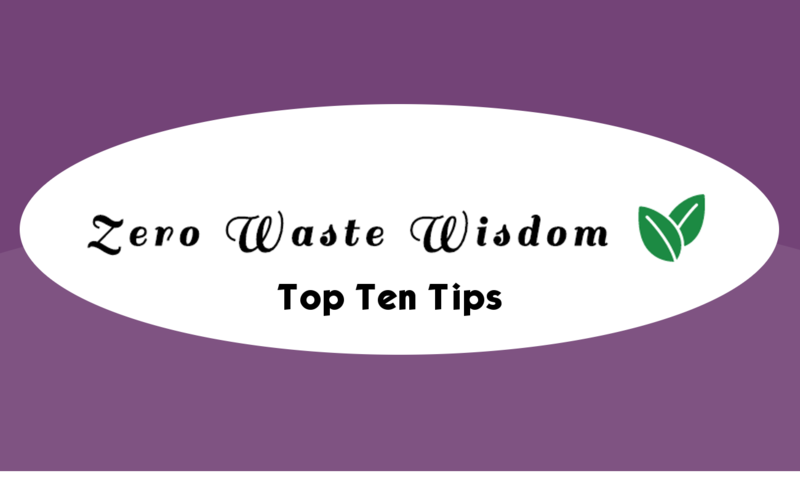 The author behind this list is Zero Waste Wisdom blogger – Jenica Barrett. Jenica is from the US and has been living a zero-waste lifestyle since 2015. Invest in a reusable water bottle, or two! Bring your own grocery bags to the store. This includes both bags for bulk items as well as your standard bags. Buy in bulk. I’ve been surprised by how much money I actually saved by buying only what I need and not being forced to buy a huge package. Ask for your coffee in your own mug. Sometimes shops will even give you a discount! Compost your food scraps. If you don’t have access to a backyard or curbside composting, make sure to look into worm bins designed for apartments. Bring a container for restaurant leftovers. You’ve already bought the food so there’ll be no push-back when you put it in a container to take home. Yum! Request to have your drink without a straw! Approximately 500 million plastic straws are thrown away each day. Do a waste audit! Marking down the types of waste you throw away will give you clear items to replace with reusables first. Keep a napkin and bamboo utensil set in your purse for eating out or grabbing food on the run. Have fun with it! Challenge yourself to keep making changes and get comfortable with your waste! We need to start having these honest conversations to make widespread change. If you try to implement all of these in one day, it may seem overwhelming. But just remember that the hardest part of going zero waste is changing your habits. We are so trained to pick up those plastic bags and throw things away that it takes a lot of energy to remember that there are other options. Once you change the way you think about waste however, you won’t even notice you’re doing things differently! If you want to know more about Jenica or read her blogs, please visit her website https://www.zerowastewisdom.com/.